Be the first to share your favorite memory, photo or story of Cherilyn. This memorial page is dedicated for family, friends and future generations to celebrate the life of their loved one. 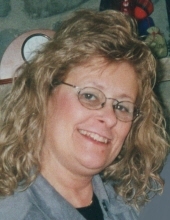 Cherilyn A. Eischen, age 72, of Plymouth, WI, passed away Saturday, December 1, 2018, at home, after a courageous six year battle with cancer. She was born on July 13, 1946, in Detroit, Michigan, a daughter of the late William R. and Joylee (Ennis) Garvin and adopted daughter of the late Elroy Schreiner. Cherilyn graduated from Port Washington High School in 1964. After high school, she went on to attend Mount Mary University and Fox Valley Technical College. On May 29, 1993 she married Paul Eischen in Saukville, WI. Cherilyn worked for the Winnebago County Sheriff’s Department in many different divisions. She started as a dispatcher, worked in the corrections division and patrol division, and later advancing into the detective division, where she became the lead detective in many high profile cases. In 2010, Cherilyn had the opportunity to be featured in the TV series, Unusual Suspects. She retired after 37 years of service at the rank of Captain of Administration and was the first woman to accomplish that rank. Cherilyn enjoyed spending time with her family, gardening, and being with her horse, JT. She was a member of a local recreational equestrian drill team. She also participated in the cancer drug research program at Froedtert Hospital. She is survived by her husband: Paul; Two children: Michael (Sandy) Jacque and Sarah Eischen; Five grandchildren: Torianna, Vincent, Gavin, Isaac, Brodie; and Brother: Daryl (Kay) Schreiner. She is also survived by other relatives and friends. She is preceded in death by her grandparents, parents, and son, Robert “Rob” Jacque. Visitation will be held on Thursday, December 6 at Suchon Funeral Home in Plymouth from 3:00 P.M. until 6:00 P.M., with a service to follow. Pastor Dale Miller, Pastor of Salem Plankroad United Church in Plymouth, will officiate. A private burial will be held at Plymouth Woodlawn Cemetery. In lieu of flowers, a memorial fund is being established in Cherilyn’s name. To send flowers or a remembrance gift to the family of Cherilyn A. Eischen, please visit our Tribute Store. "Email Address" would like to share the life celebration of Cherilyn A. Eischen. Click on the "link" to go to share a favorite memory or leave a condolence message for the family.